I would like to specifically talk about the ophthalmology industry. Whether you are an Ophthalmologist, Optometrist or Optician opening a new practice or moving to a new location and upgrading equipment, your practice set-up will be a detailed and time consuming process. There are many things to think about including the costs associated with acquiring new or upgraded ophthalmic equipment. Being able to compete with other practices by providing state of the art eye care is important. State of the art means acquiring brand new or almost new ophthalmic equipment that is equipped with the latest technology and design. Mid Continent Capital helps ease the burden that equipment purchases can place on cash flow because we offer equipment LEASING options that dramatically reduce the amount of cash needed upfront for equipment purchases. Leasing also allows eye care professionals to design their lease payment plans in a way that best fits their monthly cash flow needs. Ophthalmologist, Optometrist or Optician, no matter your area of expertise we can assist you in building a state of the art practice. • Stereopsis Screening & Other Vision Tests and the list goes on! Third, we offer Step Up Payments This option means your payments will increase over time as your cash flow increases. For example, first 6 payments at $99 a month, followed by 30, 42, or 54 payments.We also offer just the opposite of Step Up which we of course refer to as Step Down Payments This payment option is particularly beneficial when you are looking to accelerate tax write-offs. These 5 options are great but rest assured Mid Continent Capital can be very creative when it comes to designing a lease finance plan that is tailored even more specifically to your ophthalmology practice needs! MCC is a great resource for eye care professionals, making it simple and fast to acquire the equipment you need to build a successful and competitive practice. I would love the opportunity to meet with you to design an equipment lease finance strategy for your ophthalmology practice! 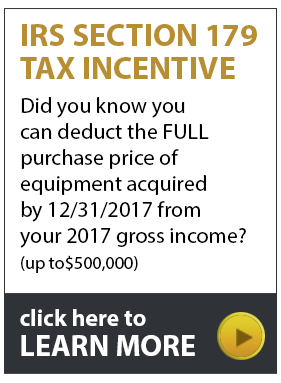 These leases combine a fixed monthly payment with the guarantee-in-advance right to purchase the equipment at the conclusion of the lease term at a pre-determined price - usually a dollar. This is available in most states. • Return the equipment to Mid Continent Capital with no further obligations. • Purchase the equipment for its fair market value. • Continue leasing the equipment for additional months at a reduced monthly payment. • Purchase the equipment for a pre-arranged fixed amount, usually 10% of its original price. • Startup businesses & new business applications. Some submissions only require a one page lease application & pre-approvals are made in hours, not days. • A Commercial lease will require financial data, but more aggressive lease payments are offered. • Credit mess-ups do happen. If an applicant has previous slow pay, paid tax liens, or even bankruptcies that have been dismissed at least three years prior with good pay credit we can get them done! • We offer 100% Software + soft cost submissions that includes consulting fees, installation, training, shipping, warranty extensions, etc. This also applies to website and e-commerce software and development. • Used equipment? No problem. Does your client need to sell his used equipment to buy your new equipment? We can finance both transactions. • Accounts receivable and working capital. You can turn your outstanding receivables into capital in days, not months. • Sale Leaseback. Have you bought some equipment within the last 90 days? We can buy the equipment from you and lease it back under the terms you select. • Vendor Pre-funding, otherwise known as Progress Payments. Let us pre-fund those advanced lump-sum payments to the vendors for the specially designed equipment. • Commercial vehicles either as a TRAC or Conventional leases? We can lease construction, titled vehicles, trucks, trailers, vans, limos and cars and much more. • Municipal, State and Federal Government Leases.These payments are Tax Exempt and we offer a variety of repayment structures. • Master Leases. Once you have been approved, Mid Continent Capital only requires a simple addendum and equipment schedule form for each new batch of equipment. Lastly, Mid Continent Capital strives to provide “Cash Flow Friendly Leasing.” This is designed to help better match your equipment investment to the anticipated new and or greater revenue. Mid Continent Capital would like to assist you with your company’s growth.